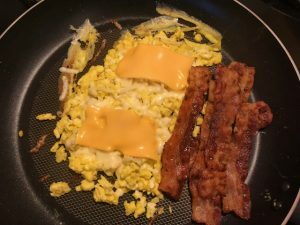 In Defense of Bacon and Eggs - Hypothetically Speaking . . . Hypothetically Speaking . . .
People often ask why I don’t post more frequently. Well, if I can be honest, most of the time it’s because I’m folded up into a ball, clutching myself, hiding underneath my bed, trying not to pass out from the smell of old sneakers and snow boots that have been under there since at least 1980. Alternatively, I could be in the closet, hiding behind the sweaters, peeking out only when I hear a strange sound, and then quickly getting back in formation when I realize the coast is clear. Clearly, there are many reasons to want to hide behind a bookshelf these days. I mean, my supervisor has my personal cell phone number. Seeing her name on my caller ID at 8 p.m. while I’m in the middle of watching The Sopranos or The Wire is enough to make me want to burn my phone and launch myself off the balcony to get to safety as quickly as possible. The last time this happened, I broke three legs before ultimately answering the phone just to learn that she had called me unintentionally. She was simply trying to place an order at Chick-fil-A and misdialed. That’s understandable. After all, they do have good chicken biscuits. If you turn on the news or open Twitter, there are over 50,000 reasons to want to shove yourself into the trunk of your Mazda. Just today I logged on and was immediately assaulted by various photos of the Easter Bunny. This was disturbing for a couple of reasons. One, I remember being a toddler and having the Easter Bunny steal my wallet as I sat on his lap at the mall. Two, I’ve never understood the connection between the Easter Bunny and eggs, but I guess it’s 2018 and I really need to learn to have a more open mind about these sorts of things. Live your life, Easter Bunny. Live your life. Anyway, as you all know from the press conference I did on CNN the other day or from my opening monologue on Saturday Night Live, I’ve been trying to make better food choices in my day-to-day life. I mean, what’s the point of going to the gym twice a year if you’re just going to reward yourself with an extra-large pizza and a side of Old Bay wings afterward? Perhaps there should at least be a random piece of lettuce or tomato thrown in there for good measure. Even if you don’t eat it, it still counts. Because of my renewed focus on my lettuce intake, before every meal I take a few moments to ponder this life choice. It gets pretty serious. I stand there and stare at the McDonald’s or Wendy’s menu and debate the health benefits of a burger vs chicken tenders. I then wonder how many squats are needed to burn off the 3,000 calories from a small order of fries. Fortunately, they use vegetable oil, so at least I can log that as a serving or two of my daily veggies. Before I lose the momentum to be healthy, right then and there I drop down and do 20 push-ups before placing my order. Of course, this confuses the people in line behind me—and the cashiers—but I simply tell them to mind their business. Some people just won’t let me be great. By the time the police arrive, I quickly decide on a Big Mac and leave the premises as soon as possible. It would be very difficult to update my blog from prison. I’m not even sure if they have Wi-Fi. I’ll ask my mom. She’s been a few times. 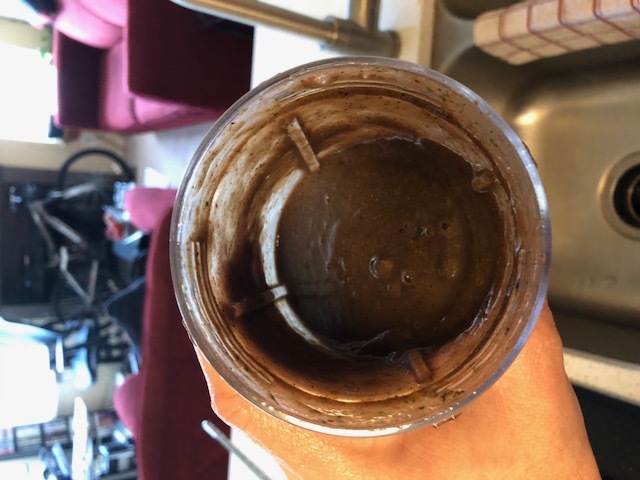 Over the past few weeks I’ve been drinking various green, purple, and brown smoothies. I know what you’re thinking. You want to know what these concoctions taste like. Well, let’s say you woke up on a Saturday morning and you decided to cut the grass. While you’re cutting the lawn, you get so hungry that you look at the grass flying out of the lawn mower and you grab a big hunk of it and put it into a cup. Let’s say you then wonder what it would be like to add a cup of motor oil and a tablespoon of gasoline to it. But wait, we aren’t done. So, you take that grass, oil, and gasoline and then you add a pinch of sugar and a capful of laundry detergent for taste. Don’t worry. You can choose Tide or Gain. It doesn’t matter. Whichever you think is best. 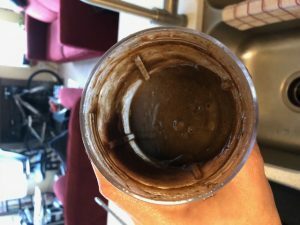 You may even want to add a little Downy just to soften the mixture as it goes down—umm, and later as it flows out. You know what I mean. No need to be extra graphic here, but I suspect that if we all added a little Downy to our diet, less people would complain about constipation. But I digress. Yum! Umm . . . NO!!!!! 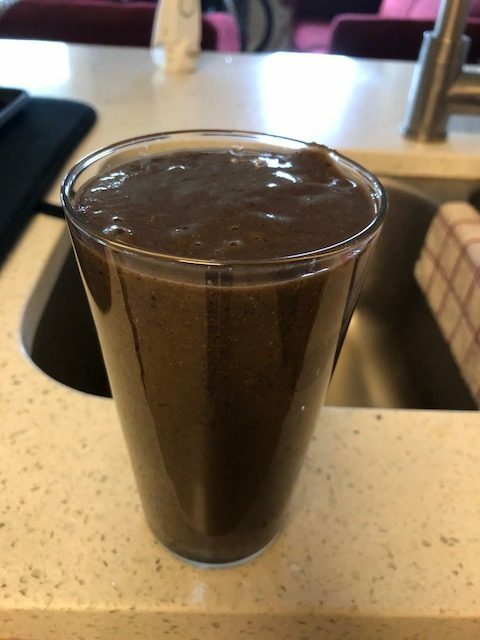 As tasty as I’m sure that grass smoothie sounds, I can confirm that no amount of leaves, shrubs, or other ingredients that I’ve added have made the mixture taste like bacon and eggs, which is always my intent. As a matter of fact, I have sometimes added a side of bacon to the smoothie just for kicks. 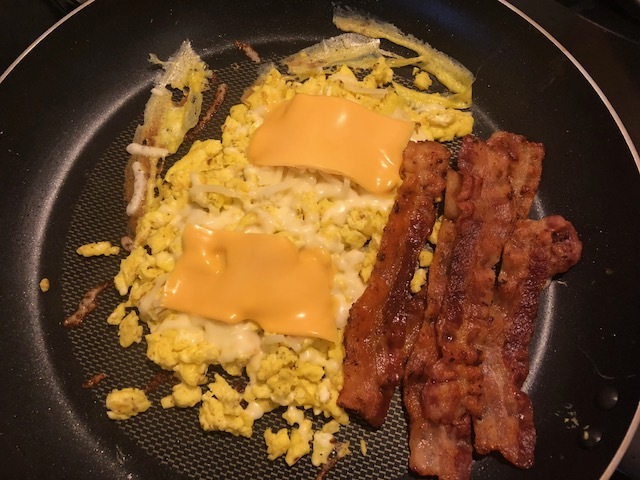 I must admit that it probably would have been better if I had actually cooked the bacon first, but you live and you learn. Don’t judge me. Each time I look at the purplish smoothie, I immediately break into tears and run to hide in the cabinet until the desire to cook eggs and bacon subside. That technique does not always work. Sometimes I fall asleep in there and wake up to find myself standing at the stove with a spatula in one hand, a frying pan in the other, and a cookbook open to a recipe for Eggs Benedict on the counter. I find this ironic because woke-me doesn’t like Eggs Benedict at all, but clearly sleep-me is a huge fan. Maybe it is a bit unfair for me to compare bacon to a grass, oil, gas, and laundry detergent mixture with a hint of Downy for easy digestion. But when you think about it, why does bacon have such a bad rap anyway? Sure, some doctor-person claimed that bacon doesn’t have a lot of good nutritional value and it’s high in saturated fats and sodium, but what do they know? People can be so judgmental. Well, I’m here to let you know that this is a safe space. If you want to read while sipping on a black smoothie, or if you want to wrap yourself in bacon and roll around the floor while reading my blog, I’ll be right there cheering your on from underneath the bed. Live your life, Bacon Eater. Live your life.